Happy Wednesday! It’s time for another cover reveal! 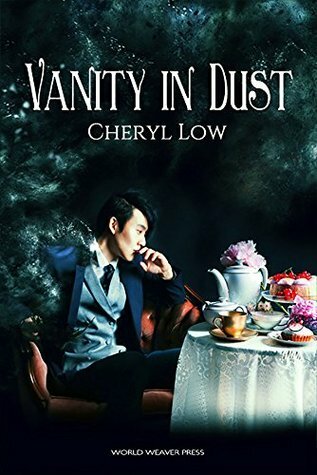 Today I’m helping unveil the cover for Detox in Letters, the sequel to Vanity in Dust by Cheryl Low. I read Vanity in Dust last year and really enjoyed the story. It was unique and dark (and dark is something that I just love). So I was ecstatic when World Weaver Press contacted me and asked if I would like to help with this cover reveal! First, some info about book 1 in the Crowns & Ash series. Synopsis: In the Realm there are whispers. Whispers that the city used to be a different place. That before the Queen ruled there was a sky beyond the clouds and a world beyond their streets. And now, the cover of book 2, Detox in Letters! So beautiful, right?! It portrays the book so perfectly: magical and lovely, but also dark! I just love how these covers look together too! Synopsis: Welcome to the Realm, where magic is your drug, your poison, and your only hope. Have you read Vanity in Dust? What did you think? Are you as excited about Detox in Letters as I am?! Please note: All links marked with (*) are affiliate links. Meaning, if you click and make a purchase I will get a small percentage of the purchase price from the retailer.